"Welcome to La Petite Mairie! 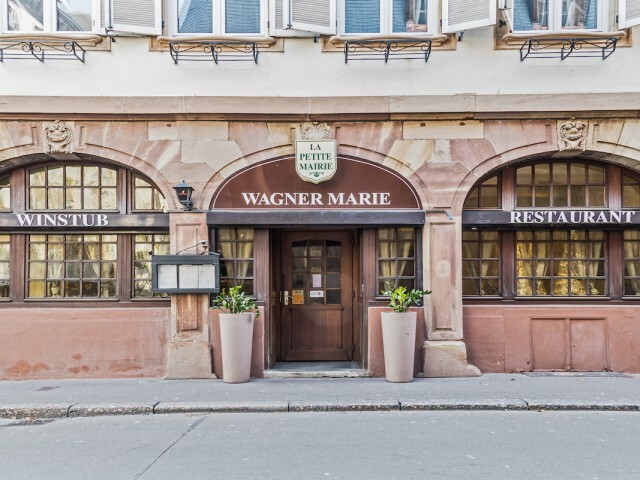 Let yourself be guided by the Mistress of the place, Marie WAGNER who, for 30 years, has welcomed her clients. In a frame combining tradition and modernity, it offers you various traditional dishes brought up to date. The card, reworked regularly, showcases fresh, seasonal and quality products. Marie and her team pass on their passion in a friendly and warm atmosphere. "